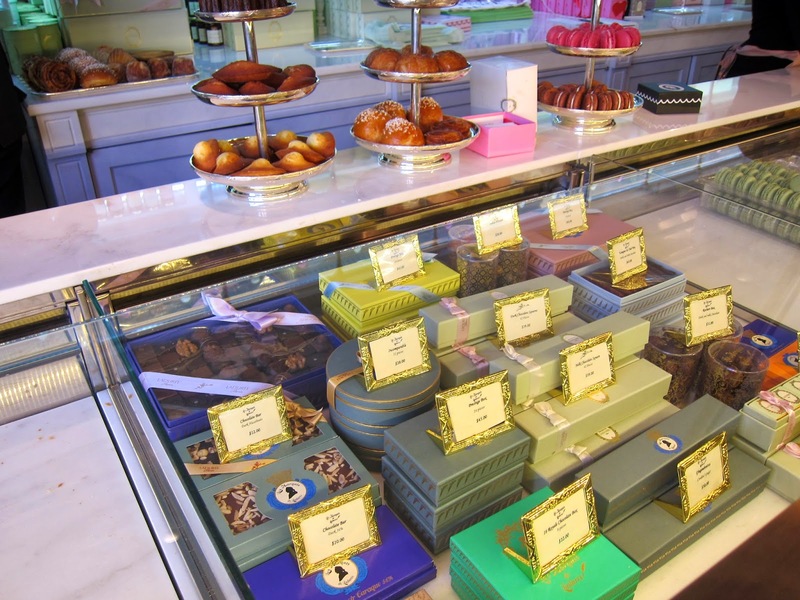 Ladurée - is there any other place more synonymous with Parisian taste? 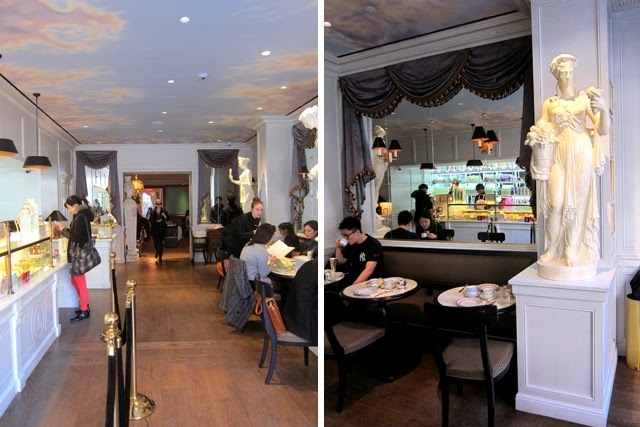 Upon hearing that they finally opened a cafe is SoHo, I couldn't resist popping down to finally try their savory options. The very back of the shop is definitely like a hidden gem. 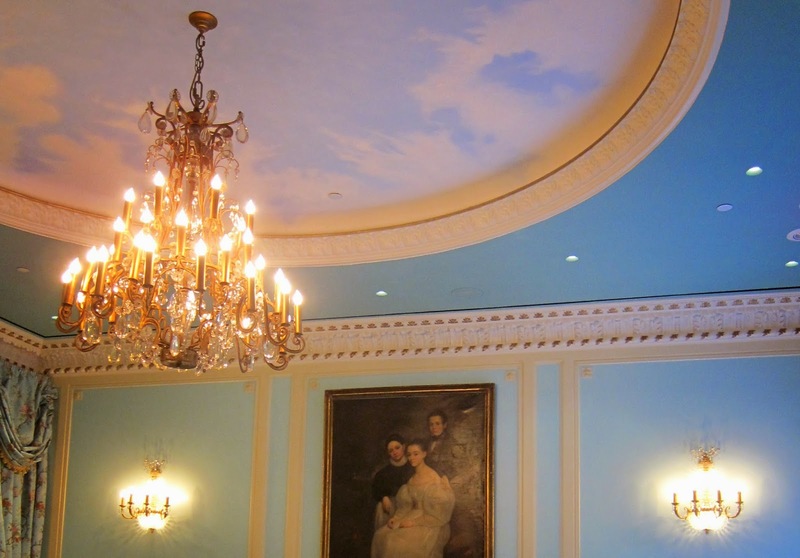 It's filled with incredible natural light, features a high ceiling, and a gorgeous chandelier. 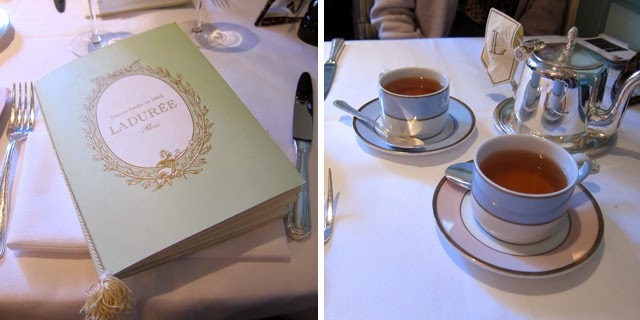 Teas - The Au Caramel and The a La Rose | The Au Caramel was my favorite. It had the perfect touch of sweetness to it without being overbearing, and the a La Rose was refreshing without a strong rose taste. Club Saumon | The flavors in this sandwich were light, and I liked the texture of the salmon, cucumbers, and lettuce together. My biggest complaint is that there was just too much sauce! I was able to mop it up with their gigantic fries. Overall, I still enjoyed this sandwich. 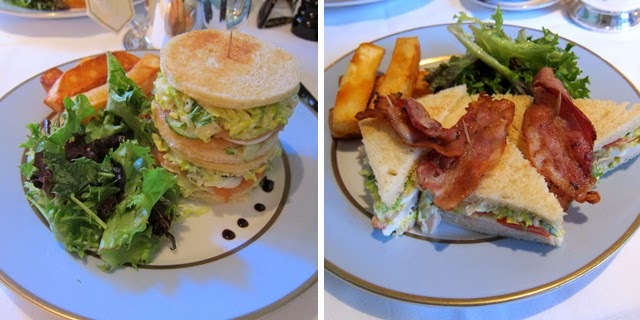 Club Ladurée | You basic club sandwich elevated. I thought that it was interesting that they placed the bacon on top of the sandwich, but appreciated it in the end when it stayed crispy throughout the meal. Overall, the chicken was tender and the taste was on point. Again, there was too much sauce. 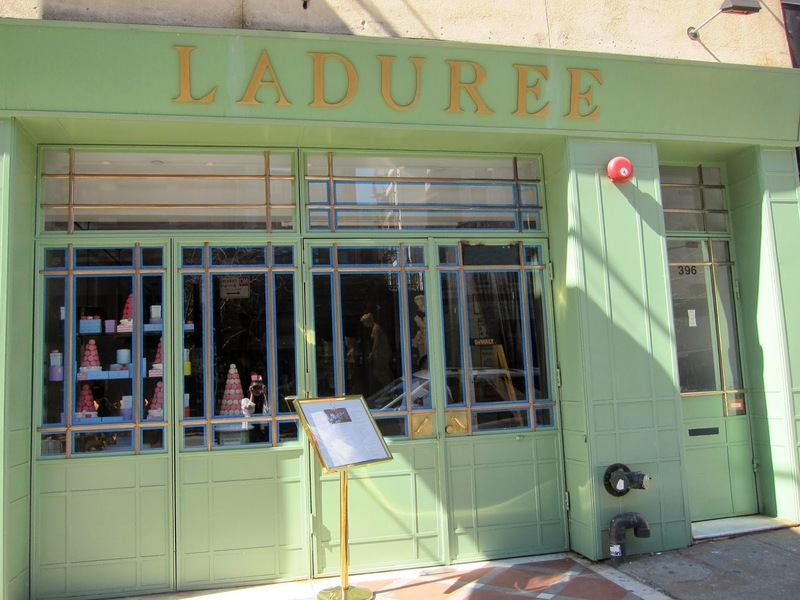 Macarons | What is there to say? 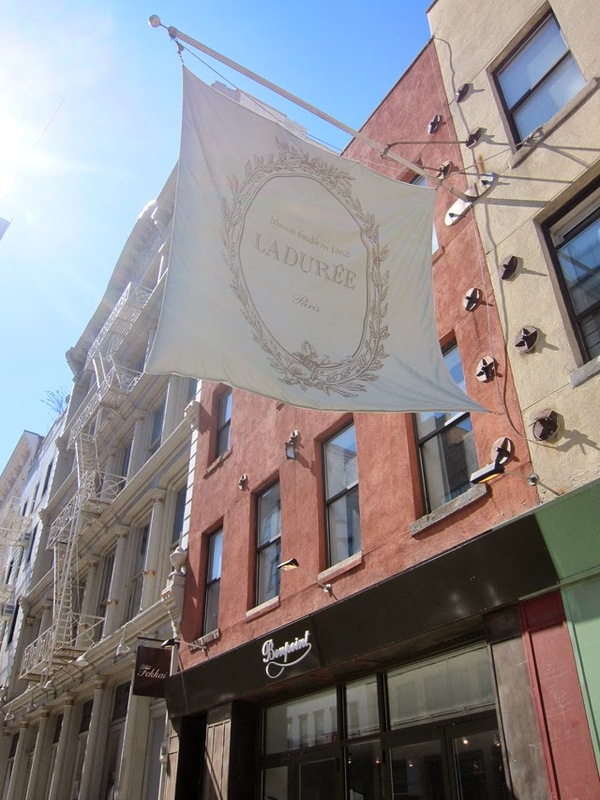 Of course the macarons are divine at Ladurée! 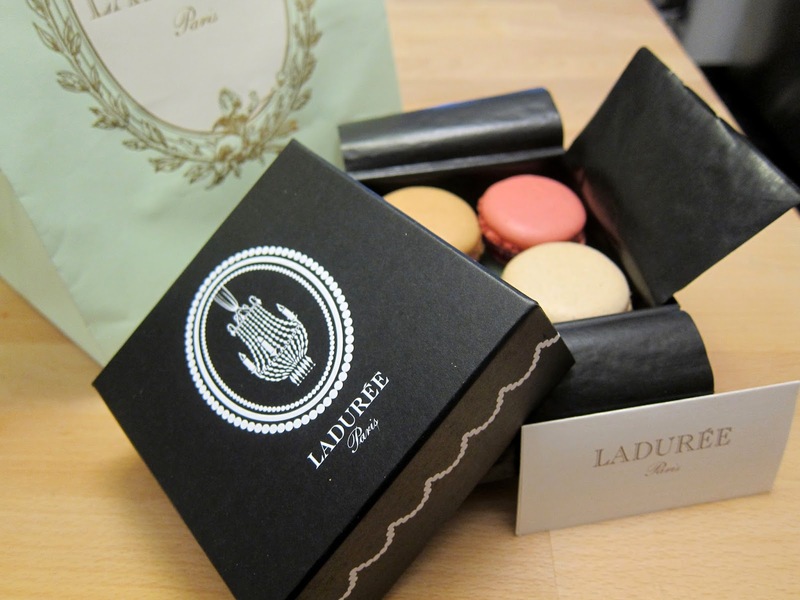 I always have to take a box home with me filled with salted caramel macarons. My second favorite would have to be simple vanilla, or a zesty lemon. All in all, I enjoyed my meal here. 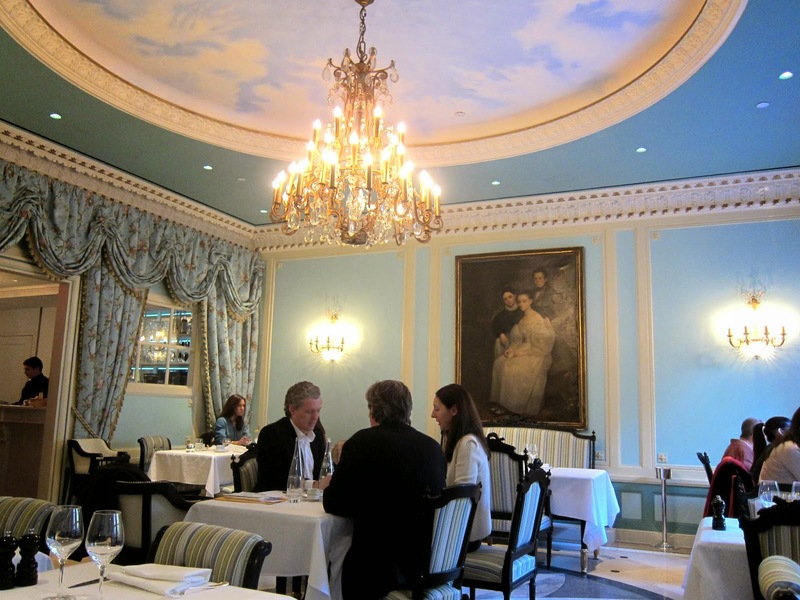 It's a quiet and refined atmosphere perfect for a date or to catch up with girlfriends. It's also great to people watch and see the fabulous individuals coming and going as well. Besides, it's in SoHo! 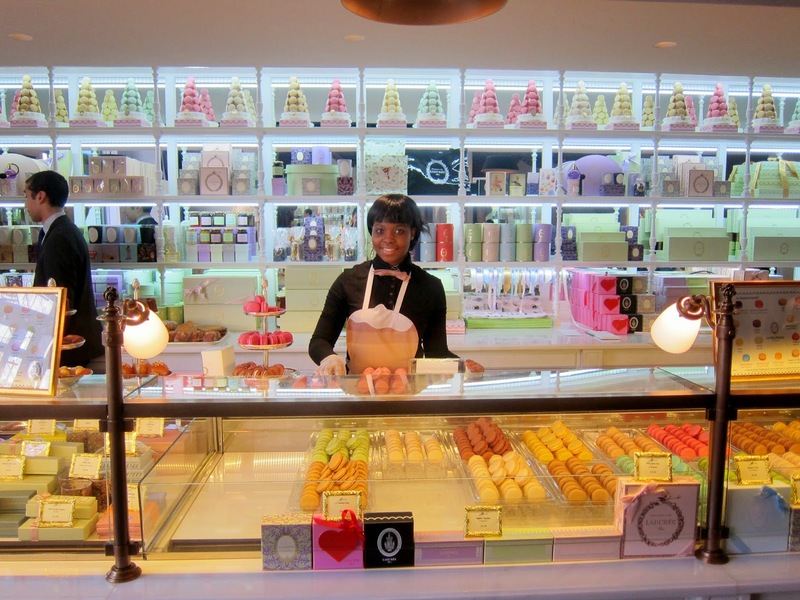 So fill yourself up with delectable treats and work off those macarons with some window shopping afterwards. Feel free to check out my last visit to Paris here.